Aangedreven door de exclusieve APEXTRANS™ technologie, converteert Wondershare Video Converter Ultimate video's tot wel 30 maal sneller dan andere converters, en dat zonder verlies van kwaliteit. 159 formats supported and counting! 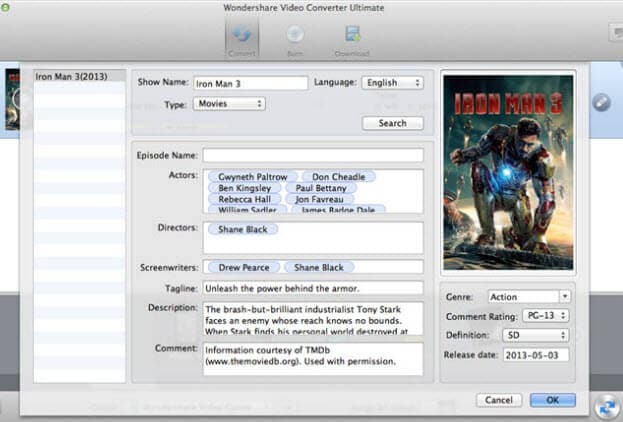 New formats are constantly added making the Video Converter Ultimate the most user friendly video converter on the market. Enjoy the latest addition to the VCU in the new 4K video format! With 4K, enjoy the absolute best and finest picture quality today! Note: If you need to add watermark (image) for your media files, the supported formats are BMP, JPEG, GIF and PNG. Having problems getting the converted or downloaded videos on to your mobile devices? 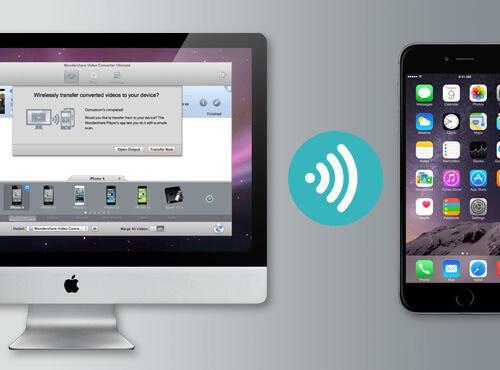 Try doing it in a faster and easier way with Video Converter Ultimate's wireless transfer! Simply scan and send, and the converted or downloaded videos will magically be transferred on to your Apple and Android devices without any USB cables! Elevate your video entertainment experience to the next level! 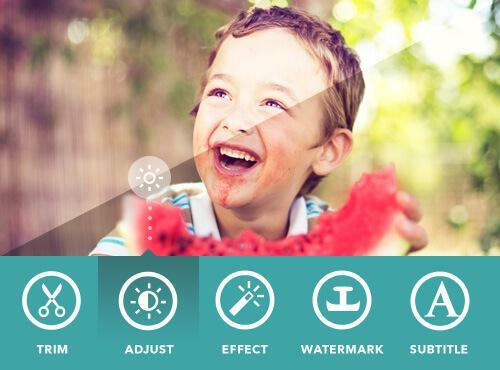 The built-in video editor comes with a set of powerful, easy-to-use editing tools. You can transform your videos into a masterpiece with just a few clicks. Convert your DVDs for personal use to any video format that suits your portable device. Or, vice versa, burn your favorite homemade videos into personalized DVDs and enjoy them on the big screen! Download online videos directly from YouTube and other popular sites in just one click. Save them on your computer or convert them for playback on any portable device. One click to download and convert videos automatically. What’s more, you can download YouTube subtitles and directly get the audio from YouTube videos. And also YouTube playlists are only one-click away. It's the most complete codec library with native codec for iMovie, Final Cut Pro and much more. Fully compatible with the latest OS X 10.9 Mavericks. Convert a standard 2D video to 3D! Now you can enjoy cinema-like 3D video entertainment at home. Automatically retrieves video's metadata and updates your iTunes library when you transfer the videos to iTunes. Add Metadata: Simply add metadata to your iTunes movies, TV show and home video. 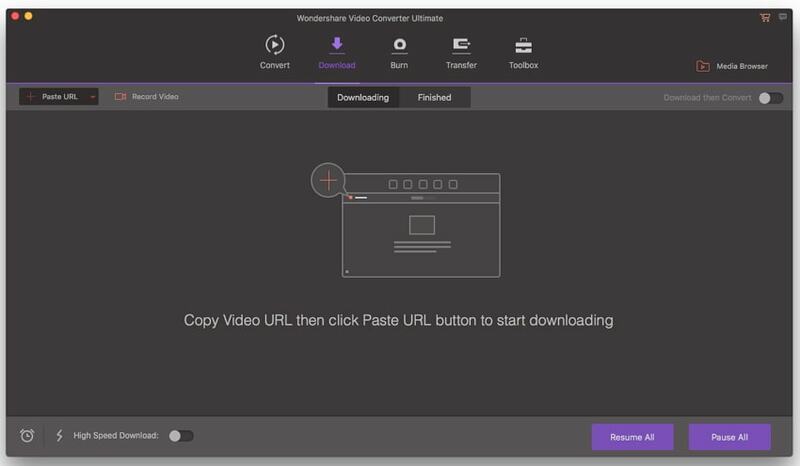 Convert Video: Easily convert any input and output files in high quality. 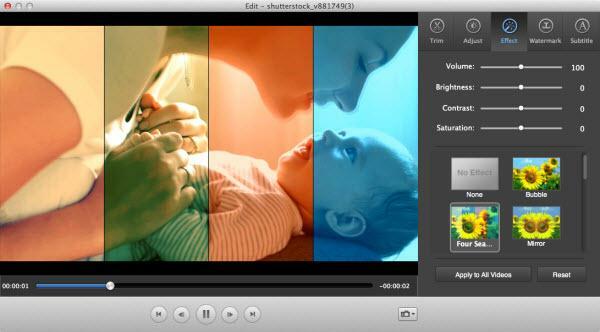 Burn DVD: Burn DVD for personal use with different beautiful menu templates at the fastest speed. 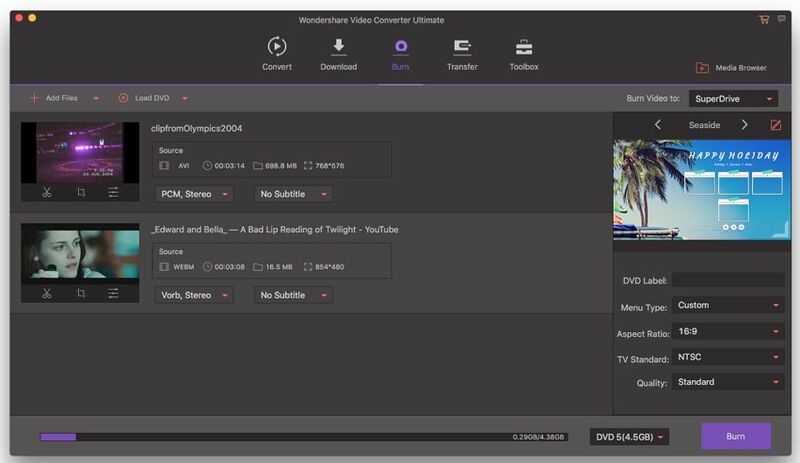 Personalize Video: Customize your media files by trimming, cropping, adding effects, etc. Download Video: Copy any video and then one click to download your favourite videos. Add Media Server function, which supports to stream video/audio to Chromecast, Roku, Apple TV, Xbox, PS3, XBMC, Smart TV and all other DLNA/Upnp-supported Devices.